Cookies are small files that websites (approximately 90% of all websites) create on your computer for a number of different reasons and, naturally, some are somewhat more questionable than others. Because of that those nice people over in Brussels have decided you need to be informed if we set any cookies on your computer. Of course anyone that wants to set naughty cookies on your computer will also comply with this ruling so, thanks Brussels we can sleep safely! 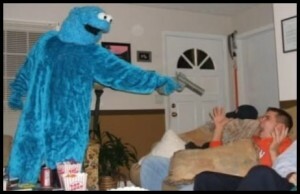 Why do we want to cookies? We also use Google Analytics which, anonymously (that’s you that remains anonymous not them), records your visits to our site and we use that information to help us make the site better. If you’re kind enough to comment on any of our offerings then we also set a cookie so you don’t have to re-type all your info every time you visit. So, and this is the serious bit – We consider that you should have no reason for concern regarding your privacy from the use of our website. However, we do think it’s important for you to know what cookies are set and to give you as much information as possible to allow you to make an informed decision. You might want to delete these cookies from your computer between visits to our website and if you do have any particular concerns about the privacy implications of the cookies we use or cookie use in general we recommend you investigate how to do this using the cookie management tools provided by your web browser. OK, that’s that lot and hopefully you’ll feel comfortable with us setting cookies on your computer so you can continue enjoying our site. If you run your own website and would like some help regarding all cookie stuff then give us a shout here.